ACADEMY OF COUNTRY MUSIC® REVEALS INDUSTRY AWARD AND STUDIO RECORDING AWARD NOMINEES. View Full List of Nominees. 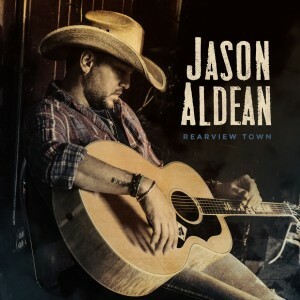 Jason Aldean‘s Rearview Town continues to top the Nielsen Soundscan Country Albums rankings for a second week (and lands at No. 5 on the overall albums chart), following the album’s debut at the pinnacle of the Top 200 albums chart last week. The reigning ACM Entertainer of the Year’s album moved 38K (total consumption) this week. At No. 2 is Brothers Osborne‘s Port Saint Joe, which debuts at No. 2 with 22K. Kane Brown‘s self-titled album is at No. 3 this week, with 17.9K in total consumption. Thomas Rhett‘s Life Changes is at No. 3 with 13K. Chris Stapleton‘s Traveller rounds out the Top 5 with 12.9K. On the digital country sales rankings, the new Sugarland/Taylor Swift collaboration “Babe” debuts atop the chart, with 38K in sales. Aldean’s “You Make It Easy” follows at No. 2, with 21.8K. Kane Brown‘s “Heaven” is at No. 3 with 18K. Kenny Chesney‘s new single “Get Along,” which he debuted at the recent Academy of Country Music Awards, is at No. 4 with 15.3K. Carrie Underwood‘s “Cry Pretty,” which she also debuted on the recent ACM Awards, is at No. 5 with 15K. NASHVILLE, TN – Mar. 16, 2018 – Two-time, reigning and current ACM “Entertainer of the Year” nominee Jason Aldean has revealed the track listing behind his hard-charging and ferociously confident eighth studio album REARVIEW TOWN, out April 13. 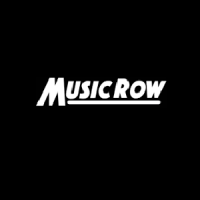 Joining forces with longtime producer Michael Knox, the risks and their rewards electrify the 15 new tracks snaking between stadium-sized guitar anthems, heartfelt country minimalism and hip-hop swagger. Beginning today, fans who pre-order the album at any available digital retailer will instantly receive a download of its driving title-track. Long a maestro of up-tempo stompers, Aldean kicks off REARVIEW TOWN with “Dirt to Dust” and “Set It Off,” an epic one-two punch of dirty guitars and undeniable hooks with razor-sharp production. Heading for traditional Country on the standout lost love lament “Drowns the Whiskey” featuring Miranda Lambert, the track is remarkably understated in its arrangement, but it’s saturated in well-worn emotions. On “Better At Being Who I Am,” Aldean lends a nuanced, knowing delivery to the breakup tale. Occasionally like on the enthusiastically-received Top 10 and climbing lead single, “You Make It Easy,” he even finds himself channeling the blues. But for all its sonic diversity, REARVIEW TOWN is indelibly cohesive. It’s Aldean’s lifelong love of country — country music and country life – that ties it all together. Aldean’s sure-footedness has helped define the genre’s 21st century, which plays into his 19 No. One hits, more than 15 million total album sales and dozens of sold-out stadium shows. Continuing with that momentum, the new music follows Aldean’s last three albums that each bowed at No. One on the all-genre Billboard 200 albums chart and all seven of his previous LPs have achieved PLATINUM certification or better. 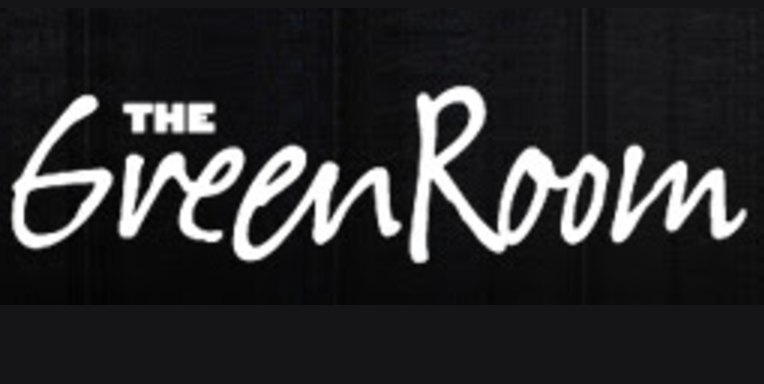 Aldean’s wide-open approach has made him a perennial live-show favorite for the format as he has headlined the biggest stadiums in the United States where “Aldean and his band rock hard and precise” (Houston Chronicle) and this year, his HIGH NOON NEON TOUR will launch on May 10th. For more information and for a full list of upcoming tour dates, www.jasonaldean.com. This panel will discuss the joys and challenges of parenting while maintaining a career in the music industry. Exploring the ways working moms start, sustain and grow their careers while juggling multiple roles and responsibilities. Topics that we will discuss will cover ways in which moms navigate career changes, manage time, and strategies for success. Panelists will offer insights while candidly addressing the choices and compromises they’ve made along the way. Nashville, TN – January 26, 2018 – On the heels of announcing his massive High Noon Neon Tour, two-time and reigning ACM Entertainer Of The Year Jason Aldean now reveals he’s also readying new music. REARVIEW TOWN, his eighth studio album, will be out on April 13 and fans are getting a first-listen of new music today with the release of its lead single “You Make It Easy”. Aldean’s raw vocal fronts the tender, blues-lined track that is now available at Country Radio, with all digital partners and the full album can be pre-ordered by visiting here. Next week, Aldean will head to the East Coast to debut “You Make It Easy” live on The Tonight Show Starring Jimmy Fallon on Monday (1/29 at 10:35P CT on NBC) and TODAY on Tuesday (1/30 at 8:00A on NBC). The new single finds Aldean heading for the well-worn sounds of hometown heroes Otis Redding and the Allman Brothers Band, kicking off REARVIEW TOWN’s fiercely confident set that catapults between traditional country grooves, stadium-sized rock riffs and rap-style boom-thwacks, certain to add fire to a career that’s already witnessed 19 chart-topping hits. USA Today exclusively broke the new music news this morning. To listen to “You Make It Easy,” click here. Aldean has always been akin to his fans and his new album REARVIEW TOWN is full of vignettes of life laid over electrifying rock n’ roll and country sounds, building upon that history. The upcoming album follows his last three albums that each bowed at No. 1 on the all-genre Billboard 200 albums chart and all seven of his previous LPs have achieved Platinum certification or better, tallying more than 15 million total album sales and 19 No. 1 hits. His wide-open approach has made him a perennial live-show favorite for the format: Aldean has headlined many of the biggest stadiums in the United States, and this year, Aldean will launch his HIGH NOON NEON TOUR tour on May 10. For more information and for a full list of upcoming tour dates, www.jasonaldean.com.